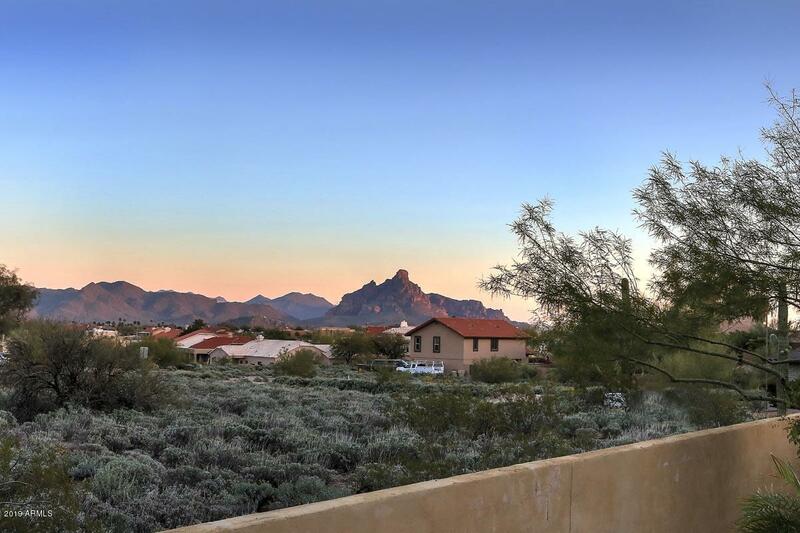 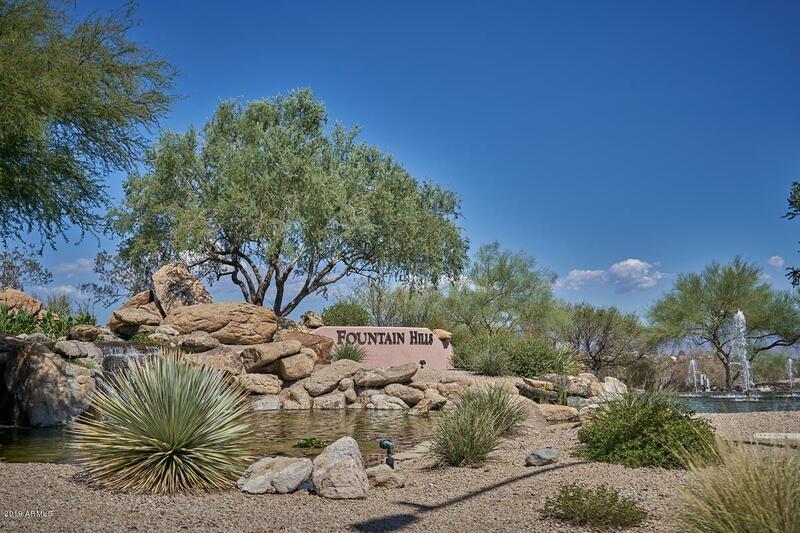 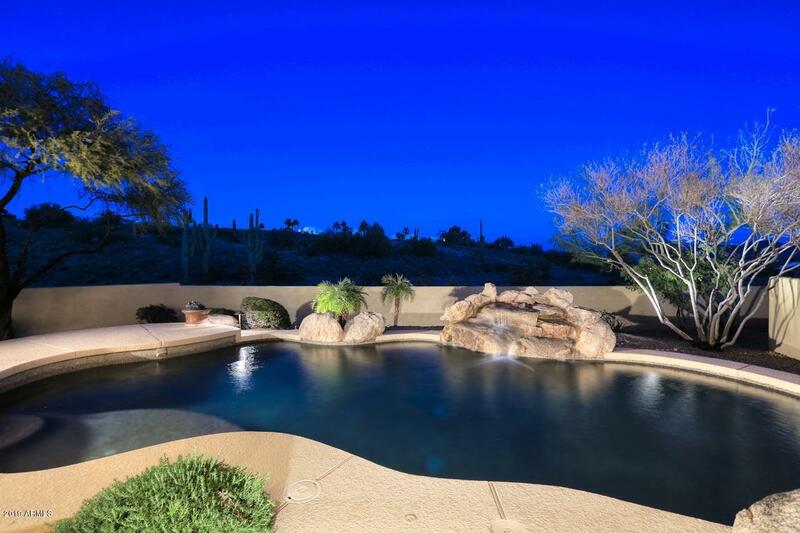 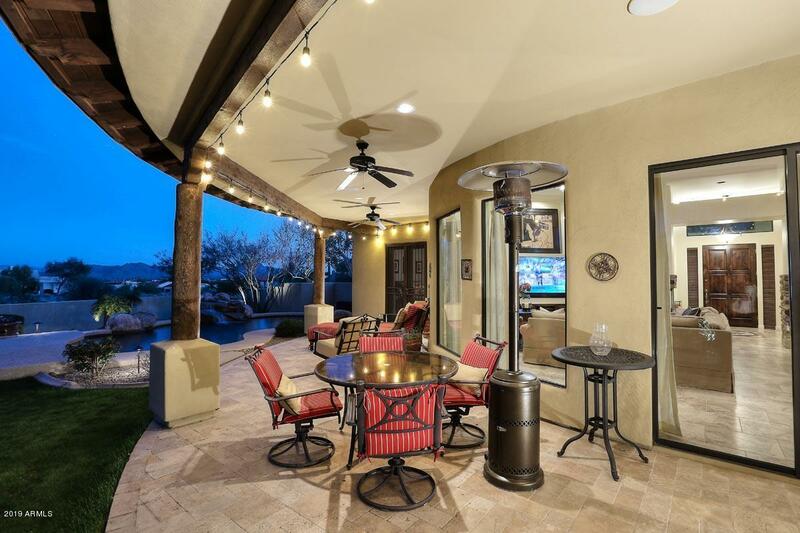 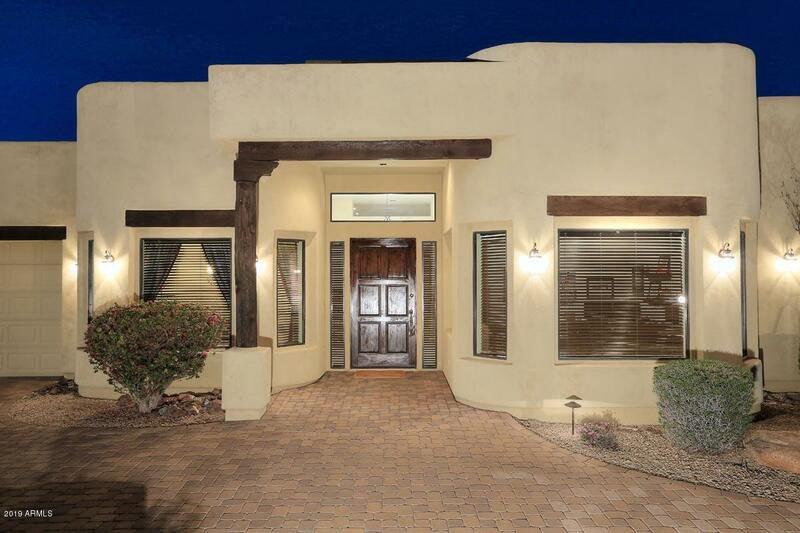 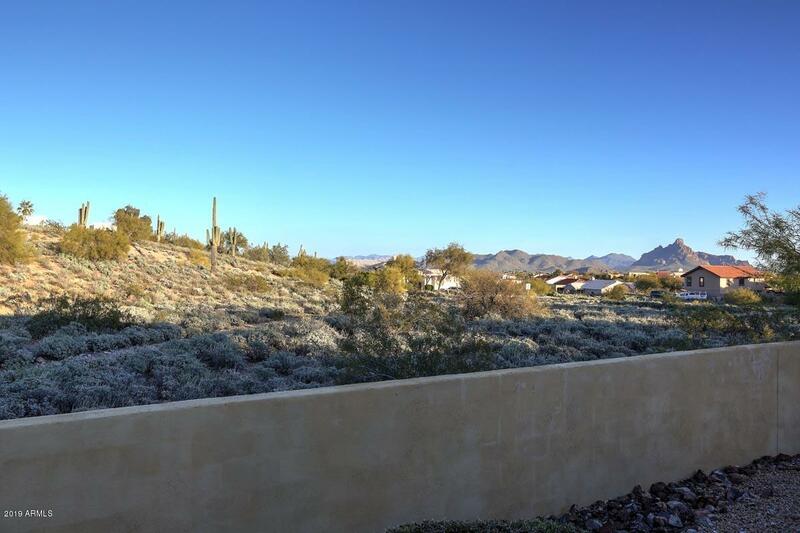 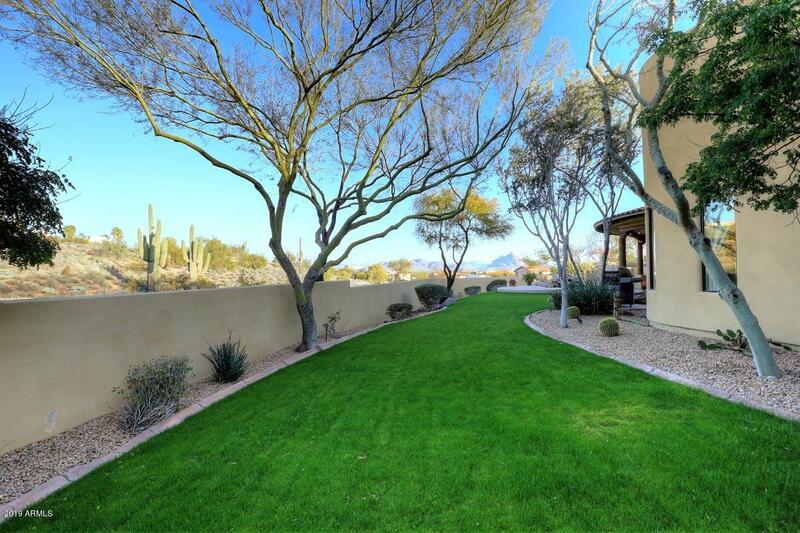 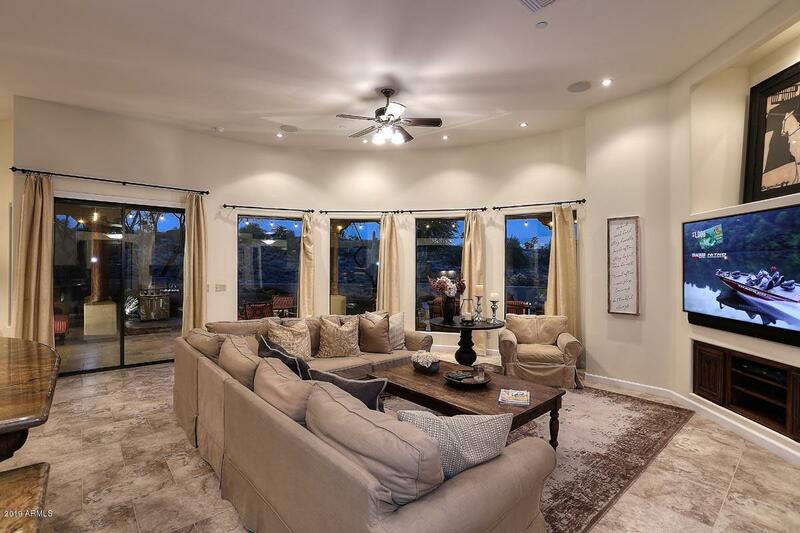 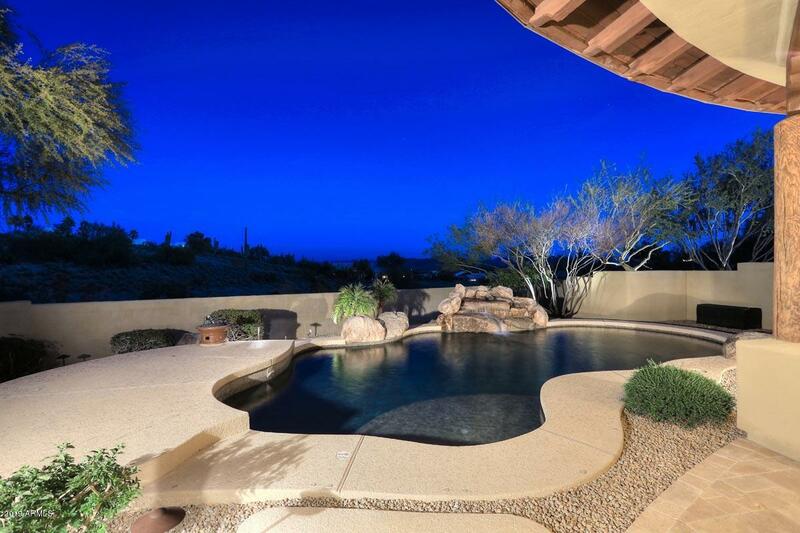 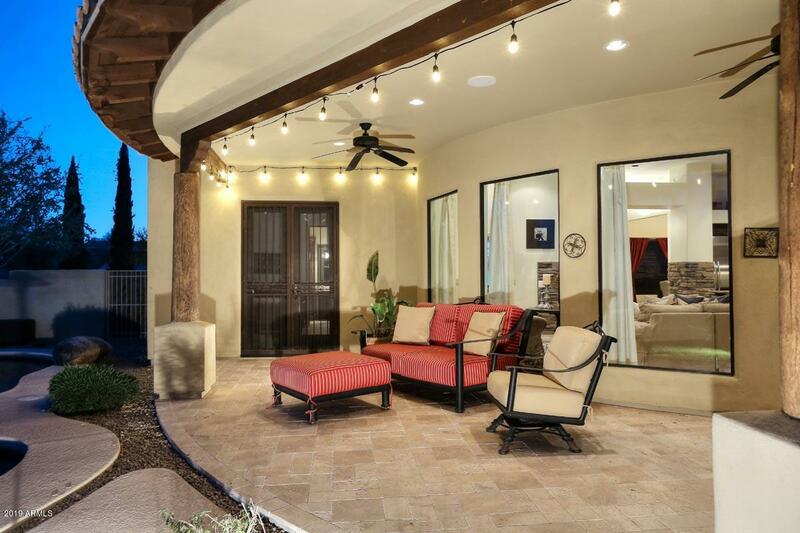 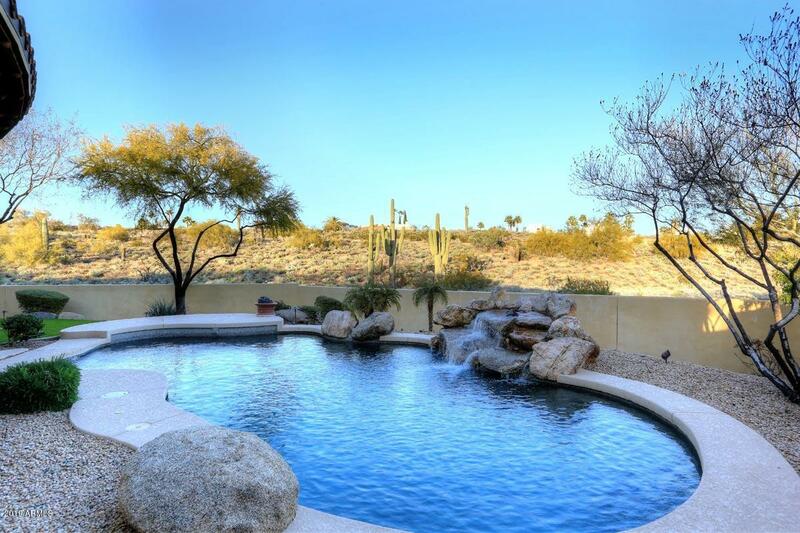 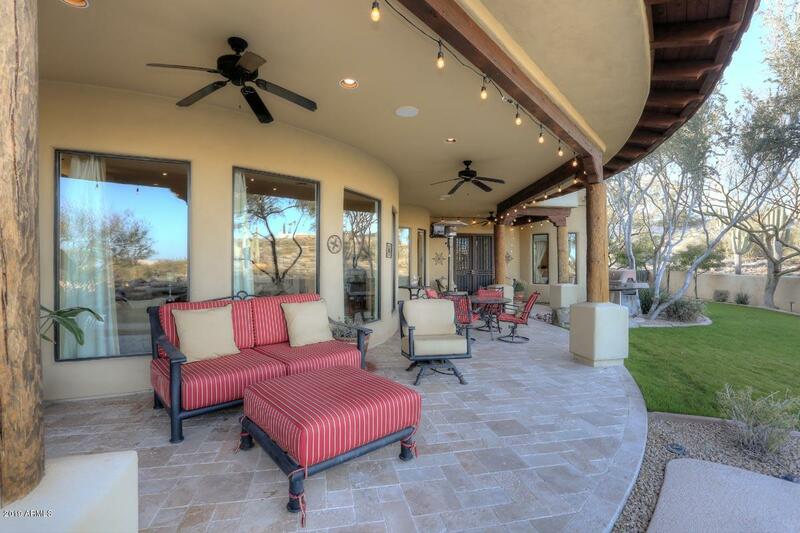 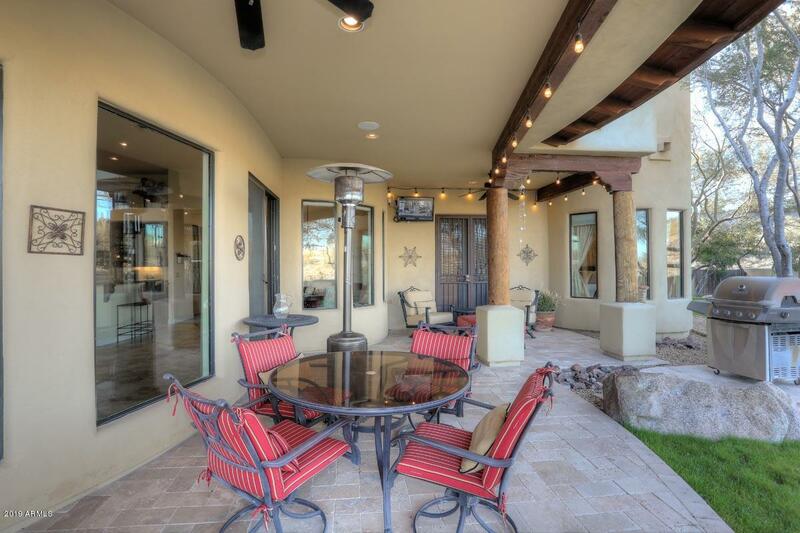 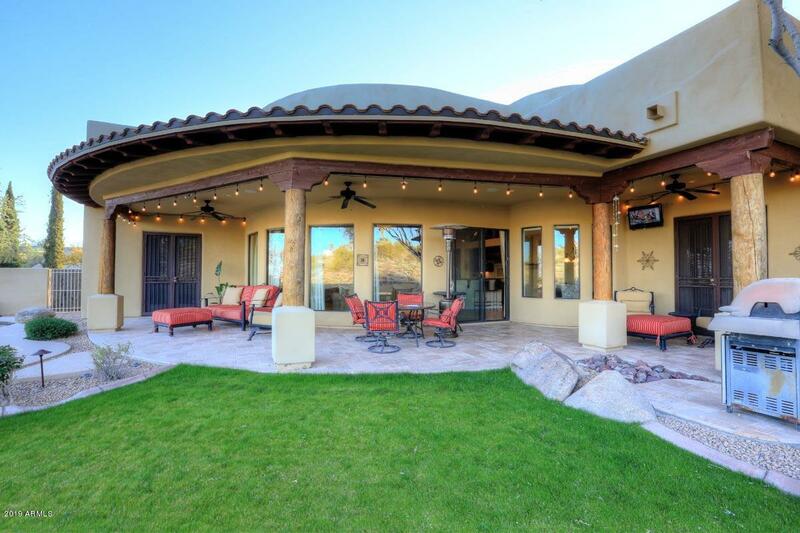 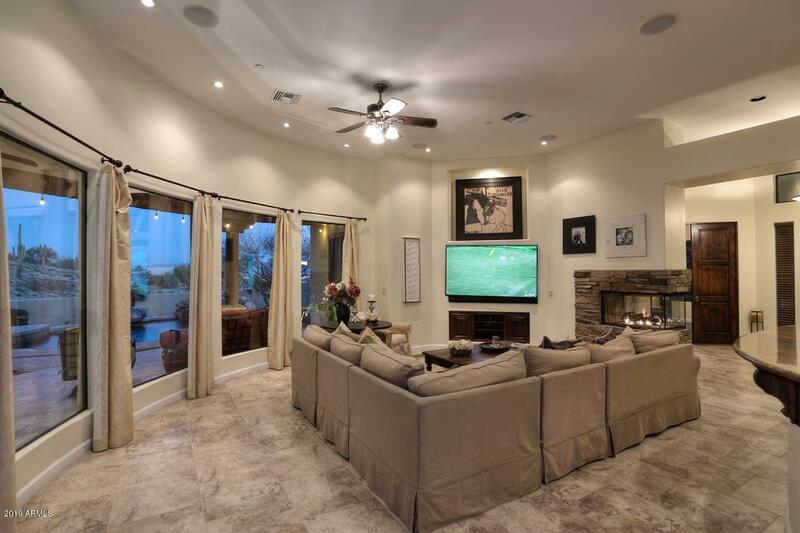 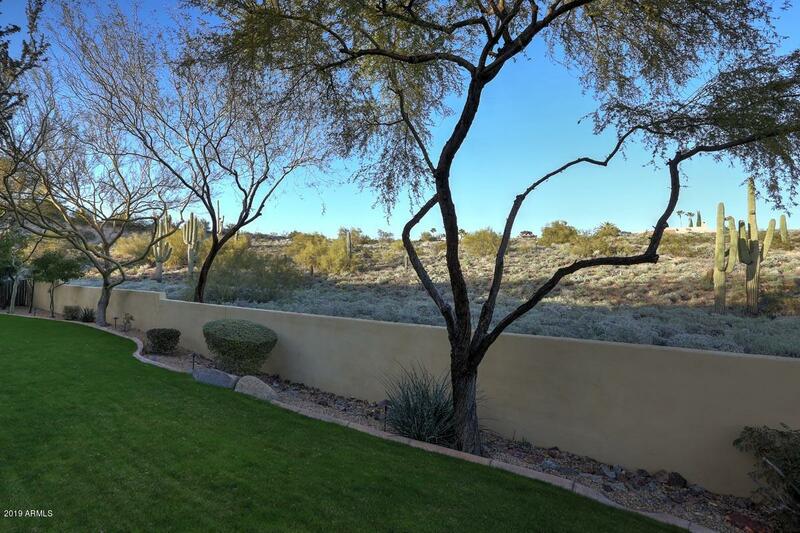 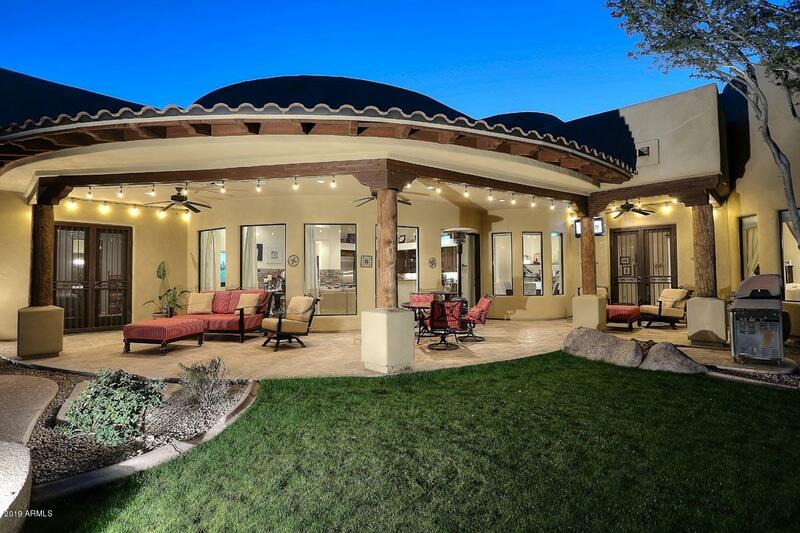 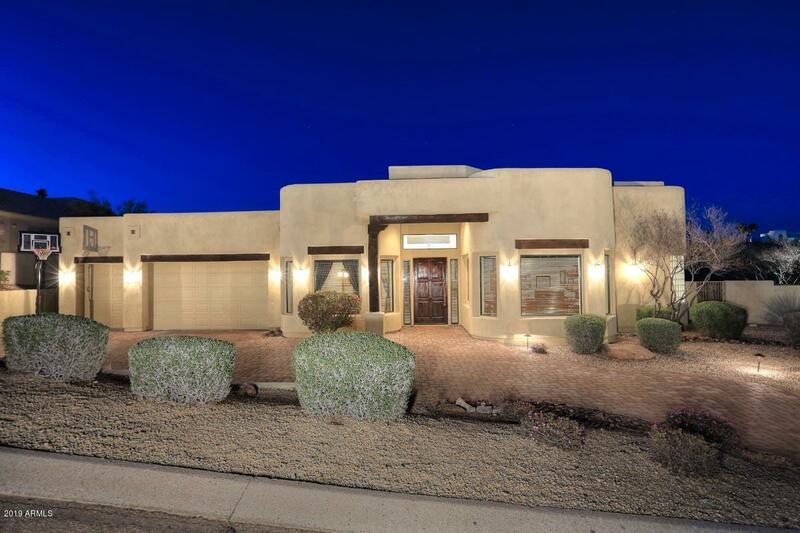 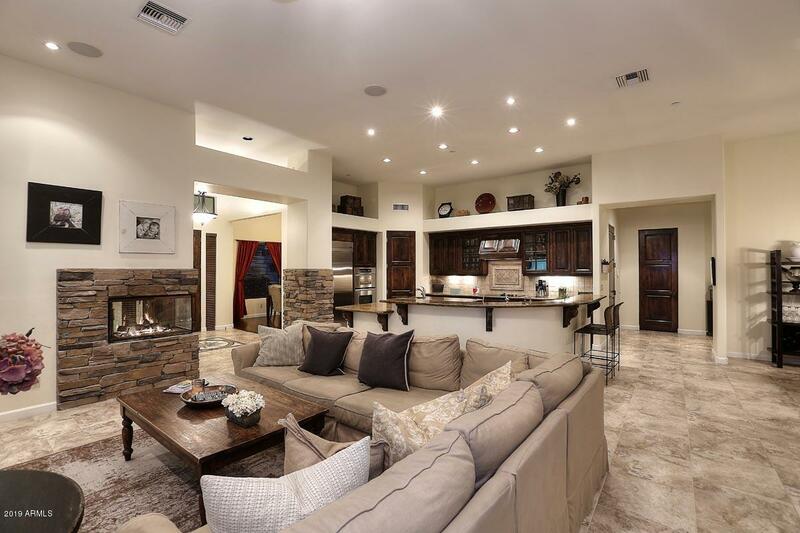 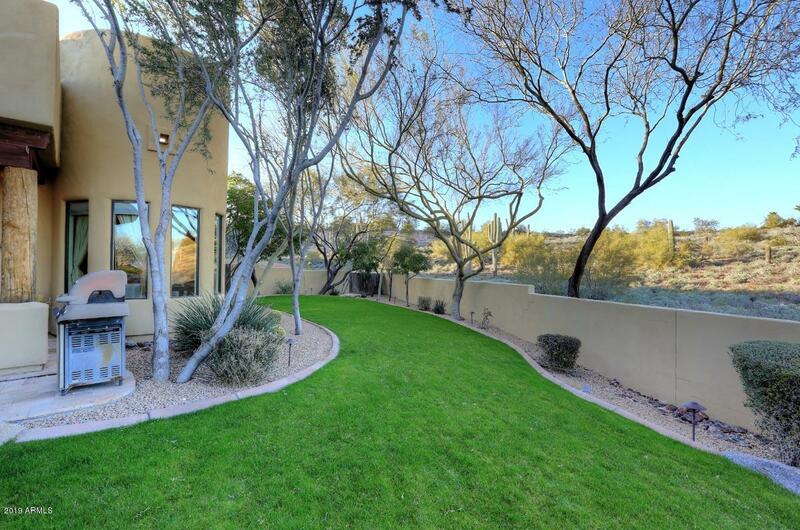 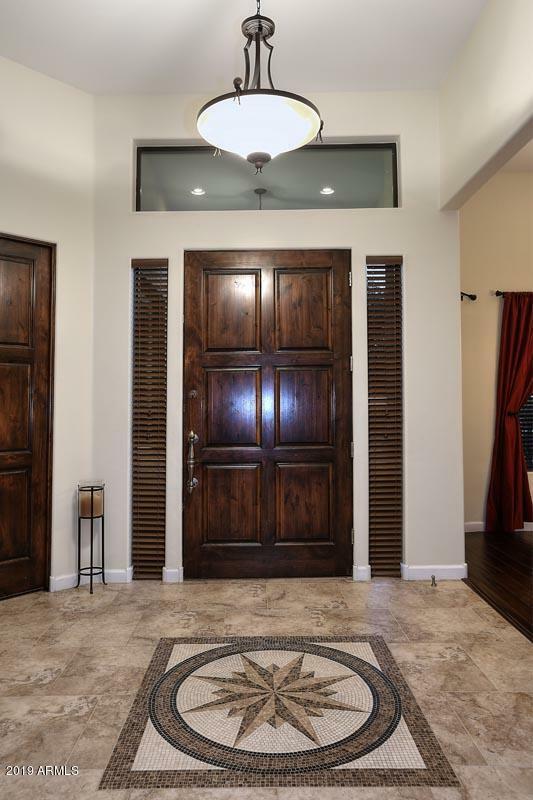 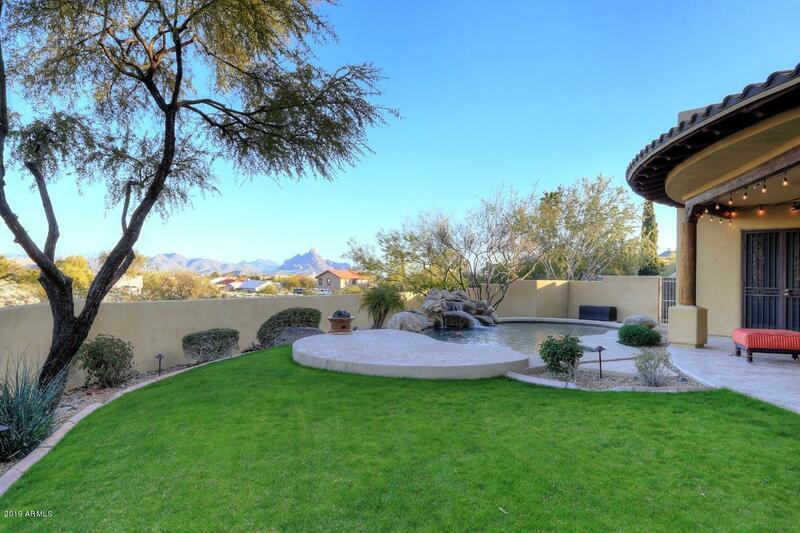 Fountain Hills custom single level home on large private lot with great mountain views and North/South exposure. 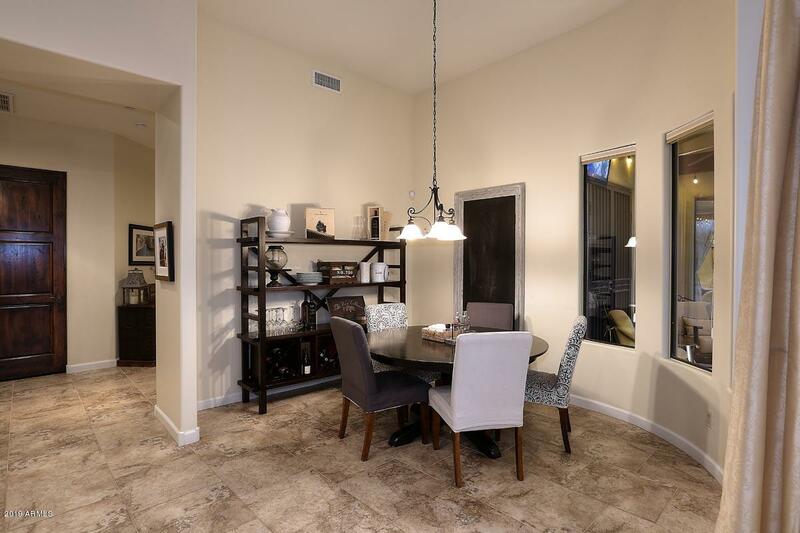 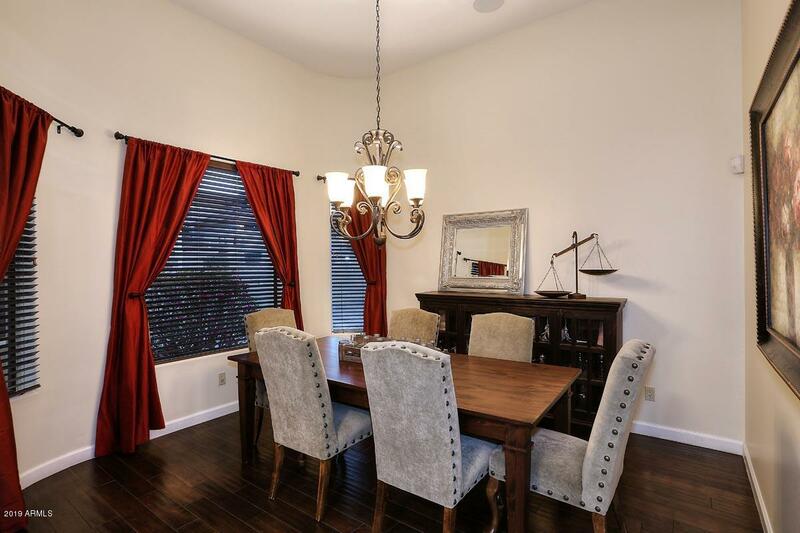 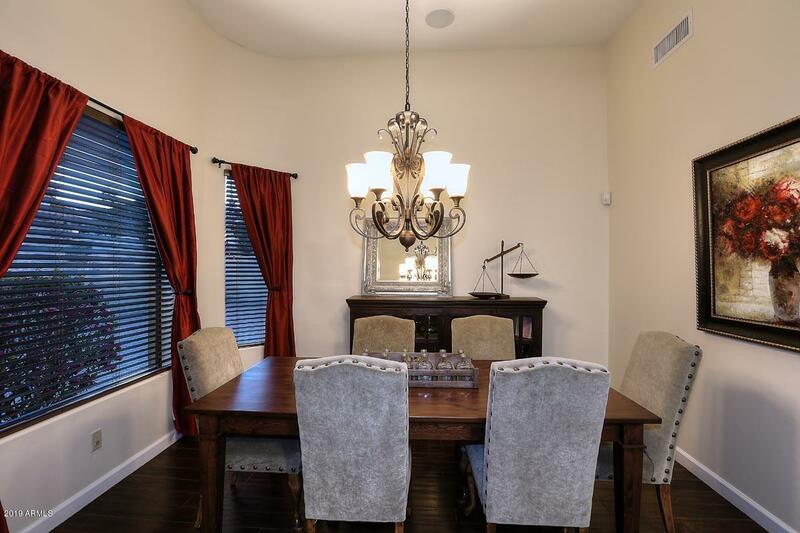 Quiet neighborhood with close proximity to Shea Blvd and HWY 87 Great room concept, with a formal dining area. 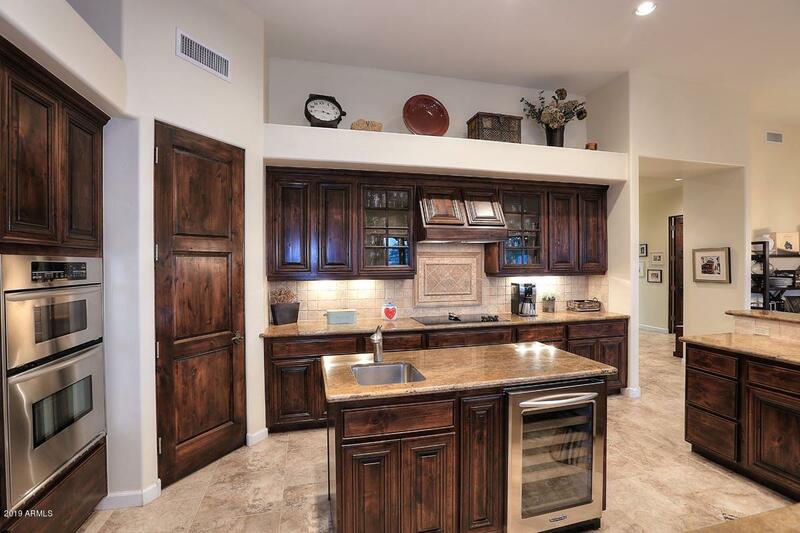 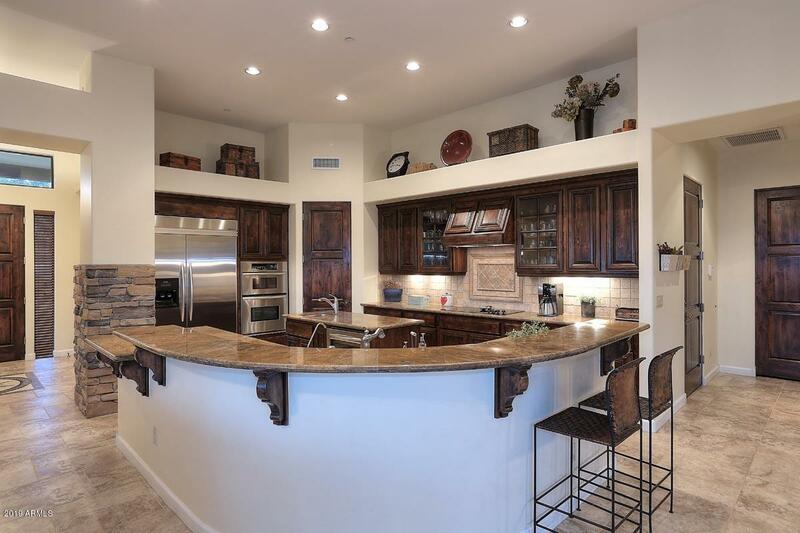 Kitchen has 2 islands, each with their own sink, and a built in wine fridge with large walk in pantry. 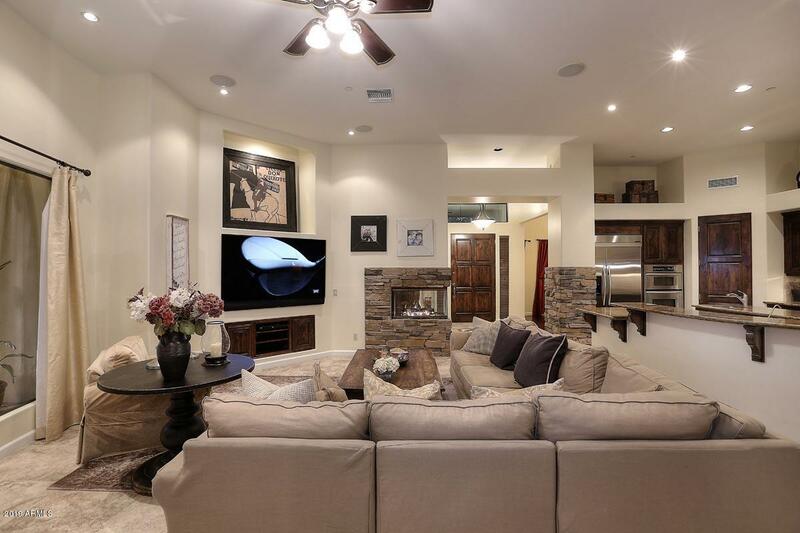 2 sided fireplace in family room. 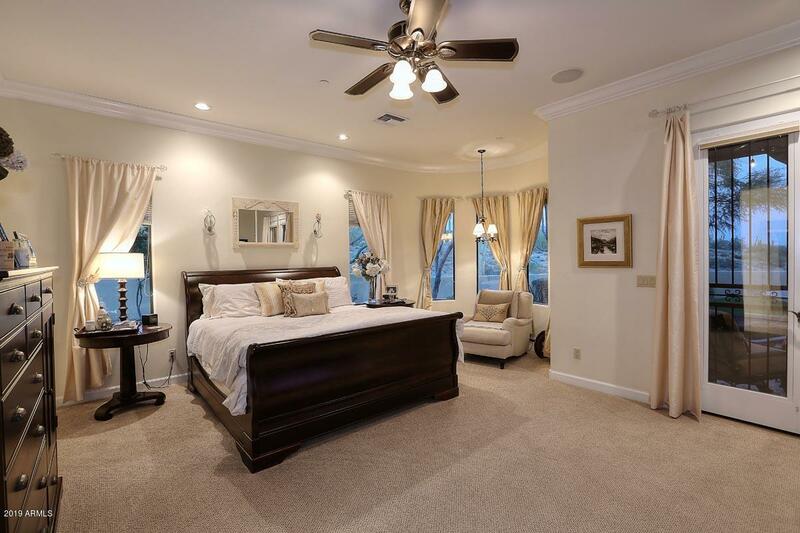 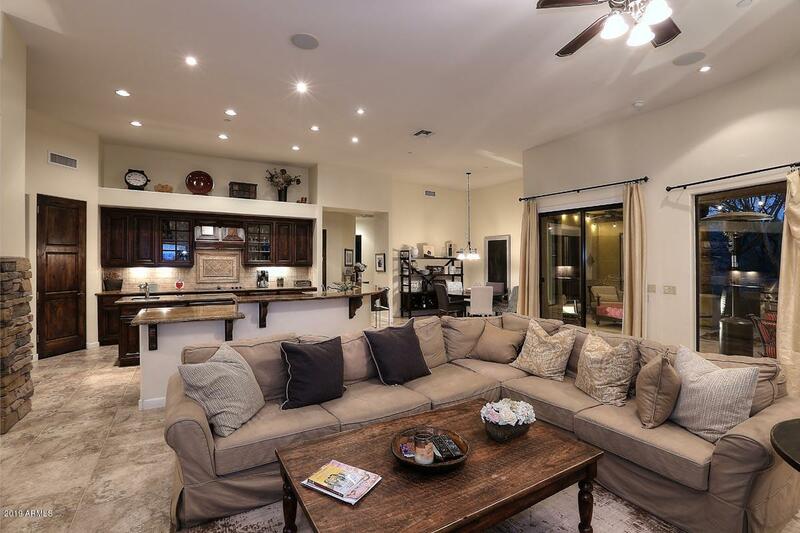 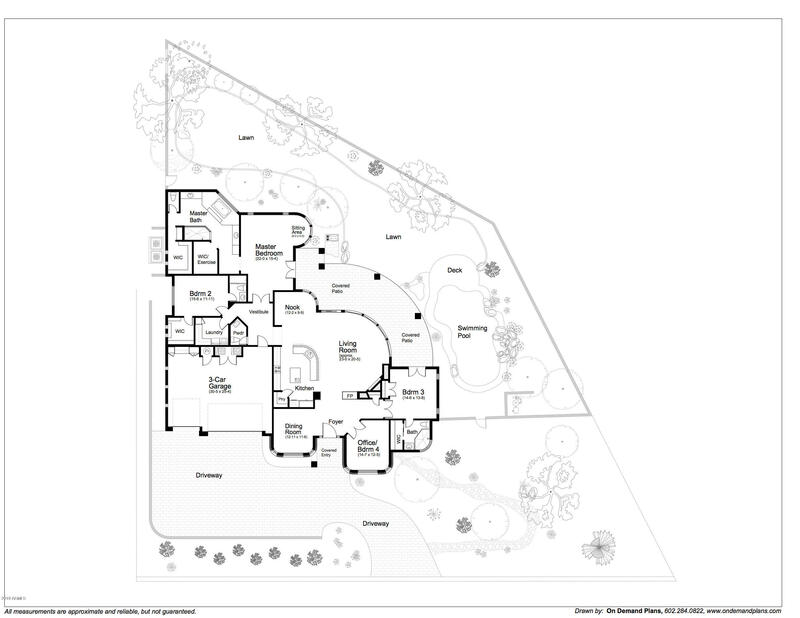 Large master bedroom with access to patio/pool area. 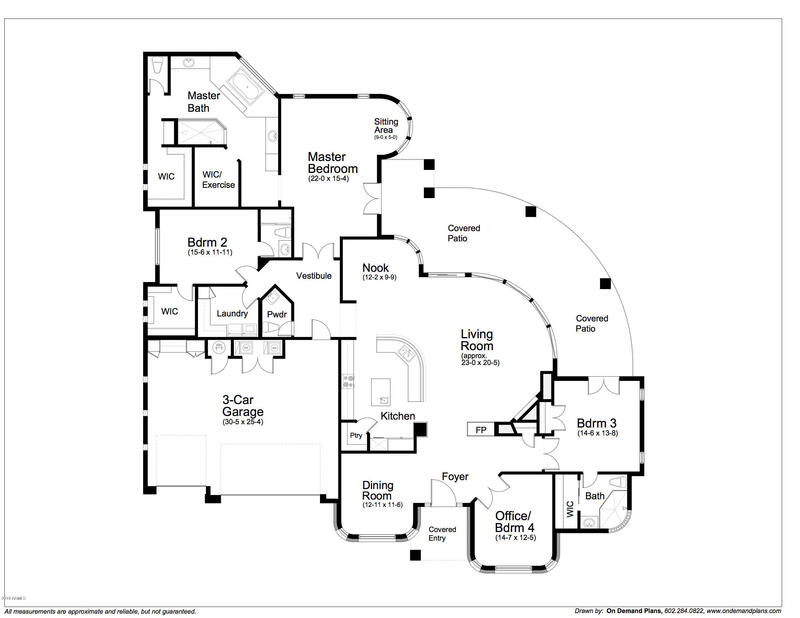 Speakers throughout the house with Control 4. 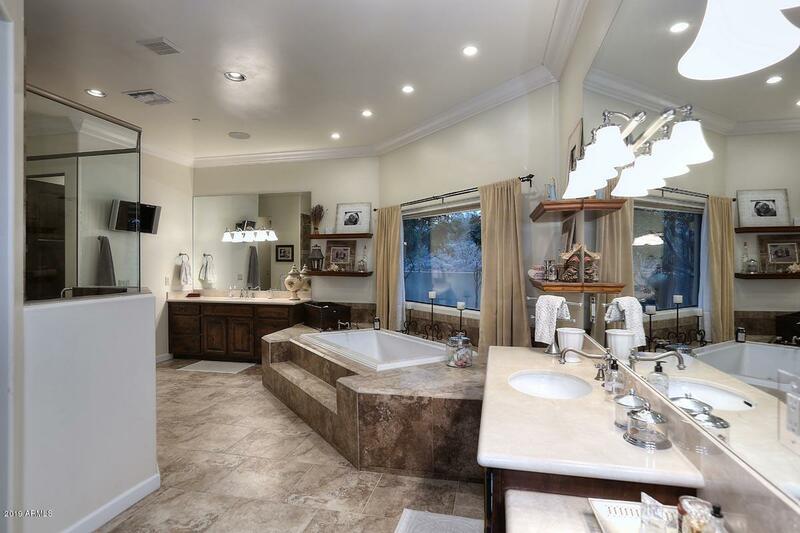 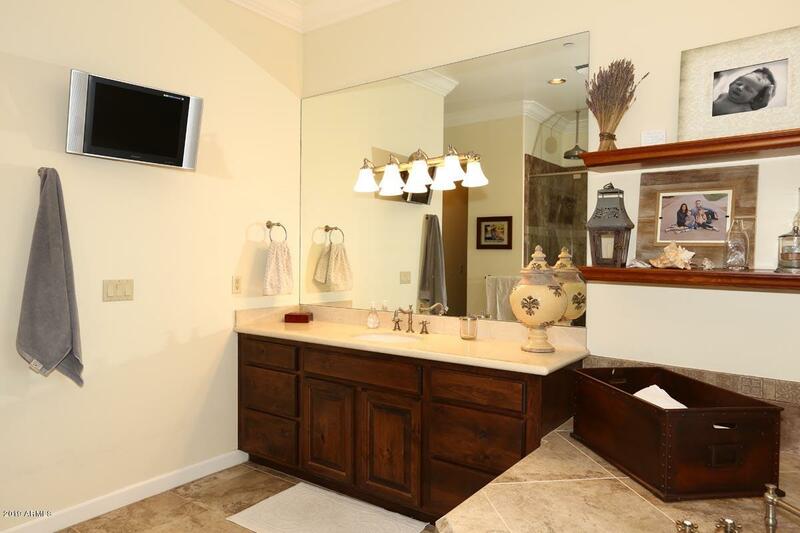 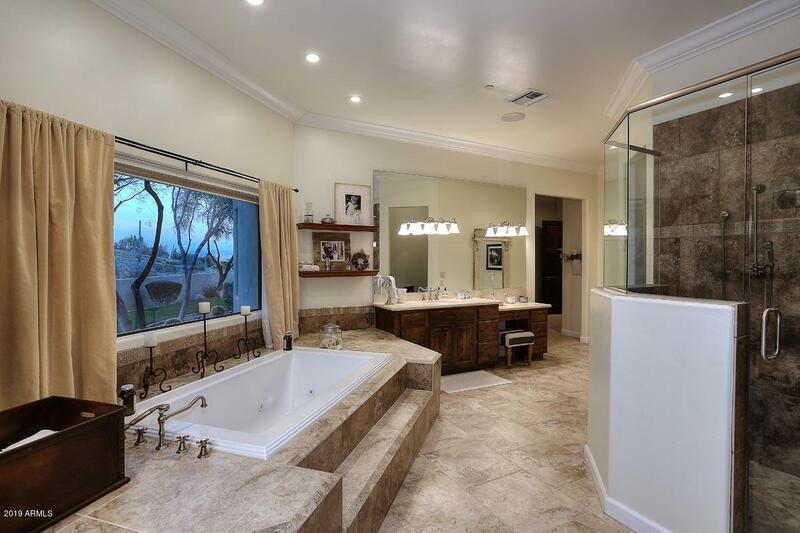 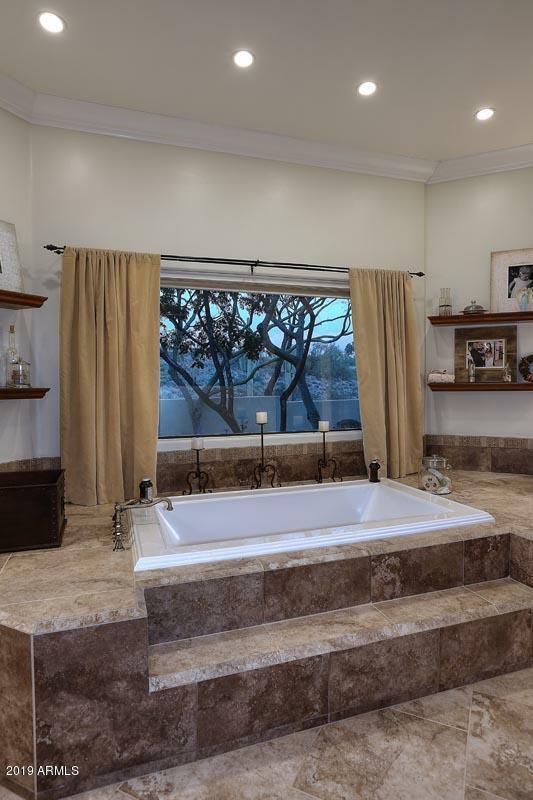 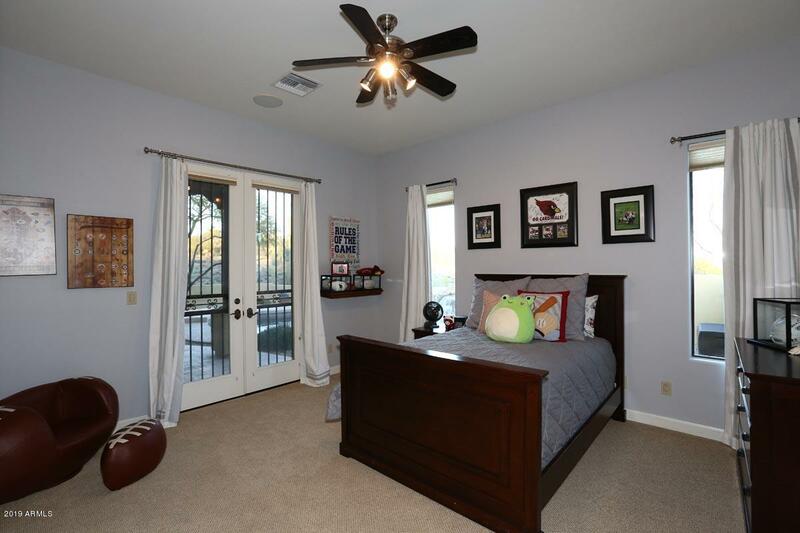 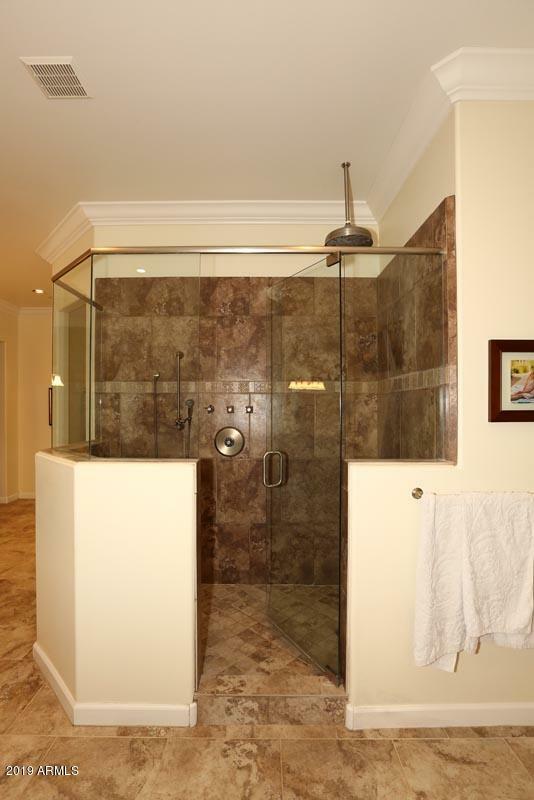 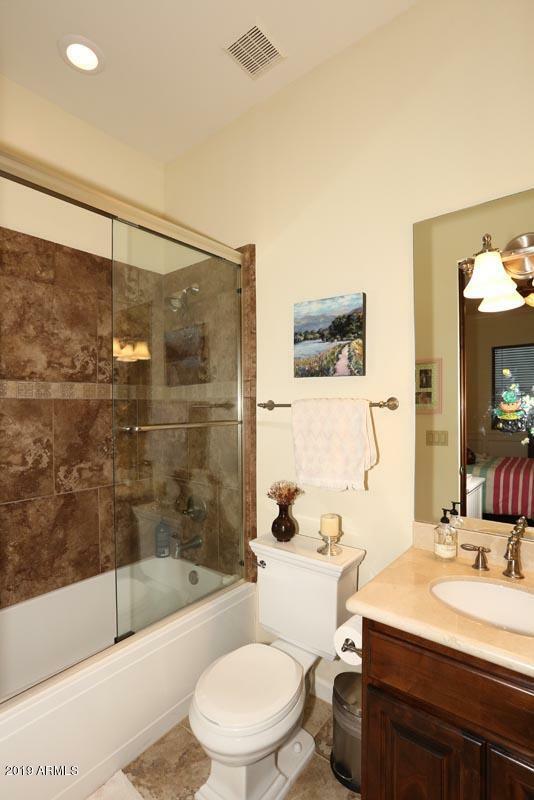 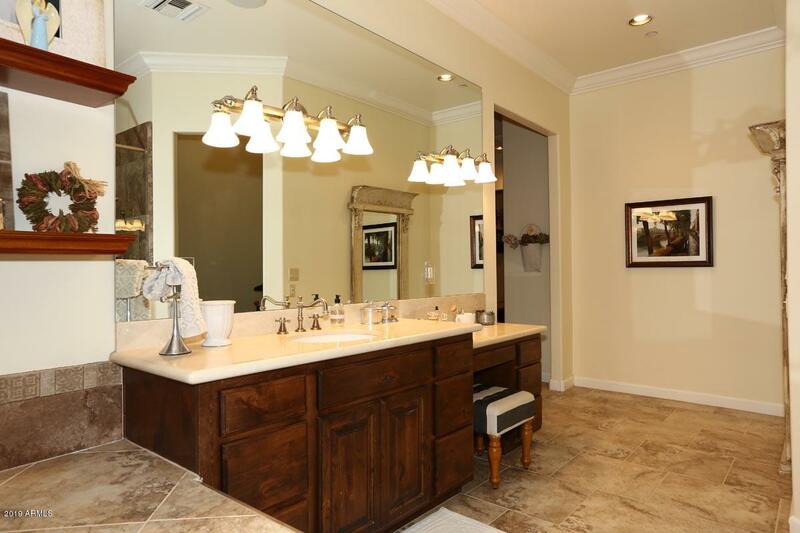 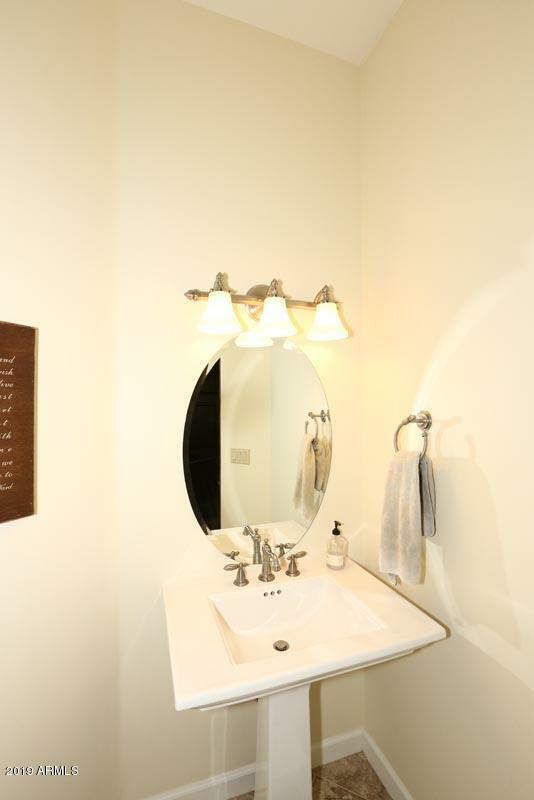 All bedrooms have ensuite baths and walk-in closets. 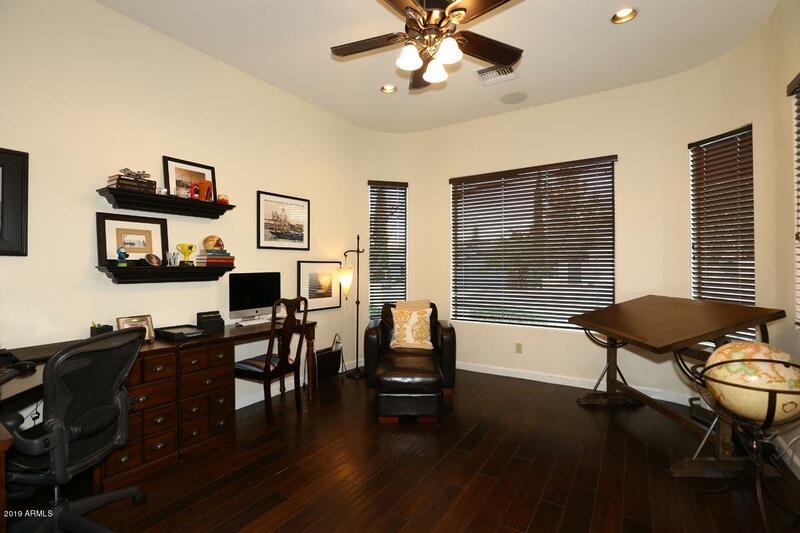 Office/den or optional 4th bedroom as well. 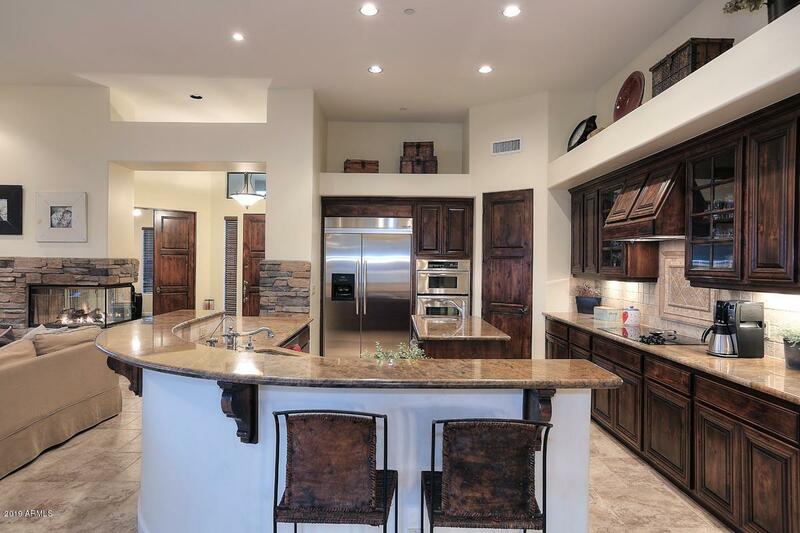 Large 3 car garage with built-in cabinets for storage. 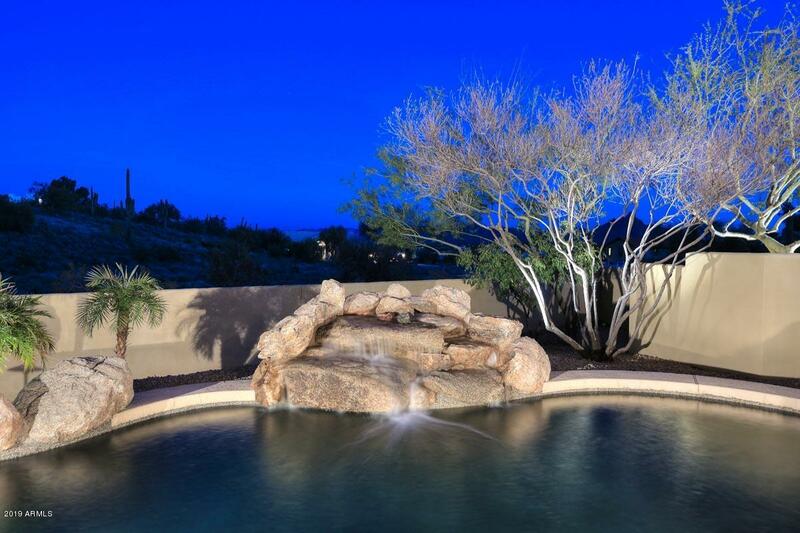 Back yard has large covered patio area, private pool with large deck space and spacious grass area. 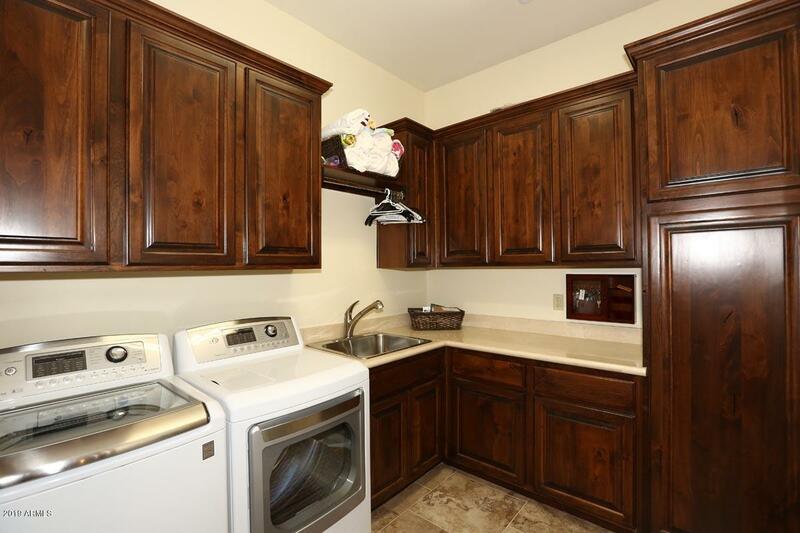 Very well maintained and clean home and no interior steps! 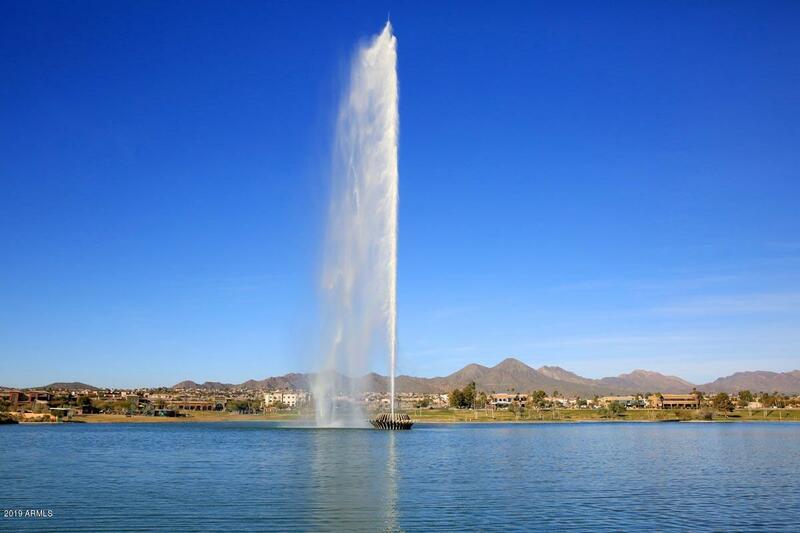 From Shea, Left (north) on Fountain Hills Blvd, Right (East) on Trevino, left on Genoa to home on your left.